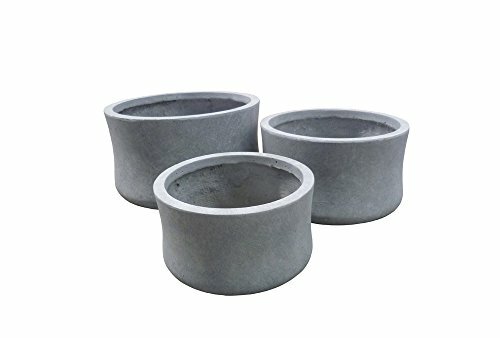 Hand-crafted, heavy duty planter pots in a grey clay textured finish. Ideal for use on the patio, sunroom, or garden to add a creative touch. Buy it for yourself or as a great gift for any garden enthusiast. Small - D: 12", H:7" ; Medium - D: 14", H: 8.25" ; Large - D: 17.5", H: 10"